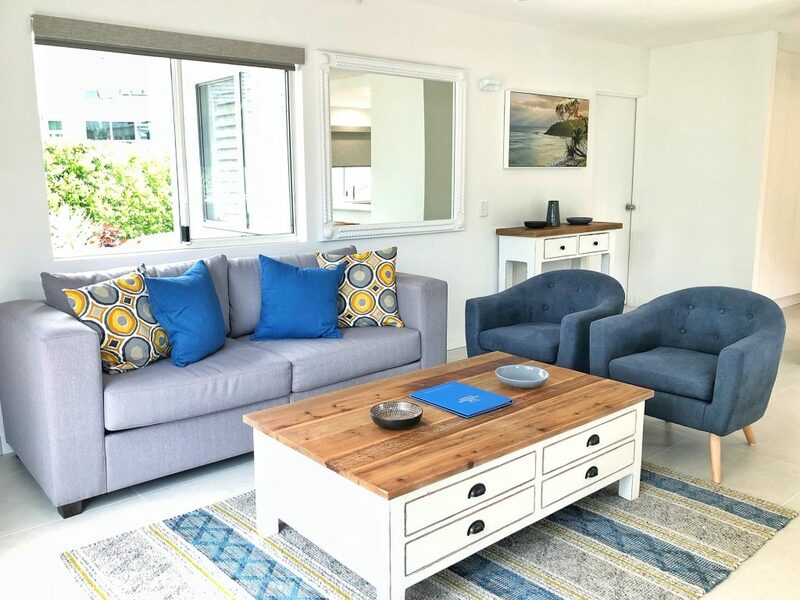 Many of our two bedroom apartments have the facility to lock down to create a one bedroom apartment whilst still enjoying the spacious living area of a two bedroom apartment. 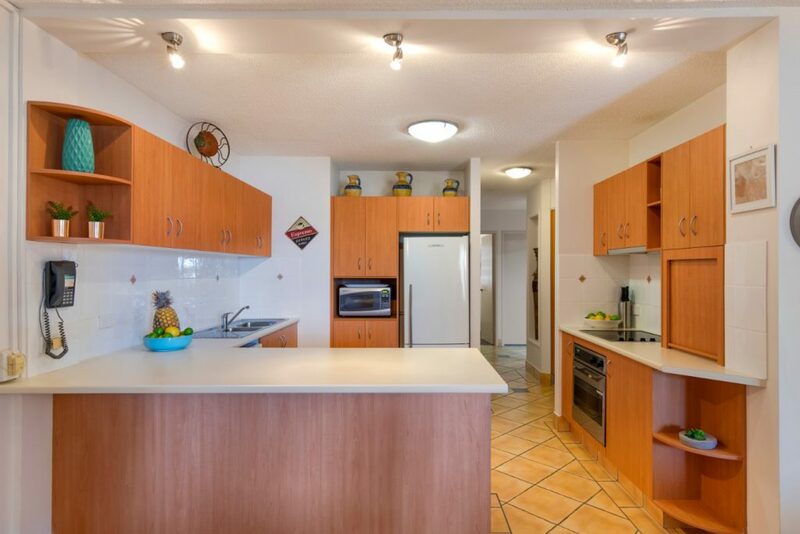 Front facing apartment with spacious courtyard and wheel chair accessibility. Queen Bedroom with one bathroom, Fully self contained. 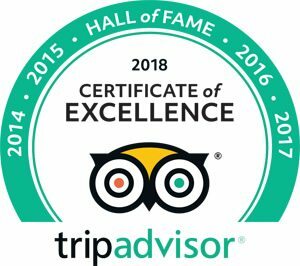 Security parking. 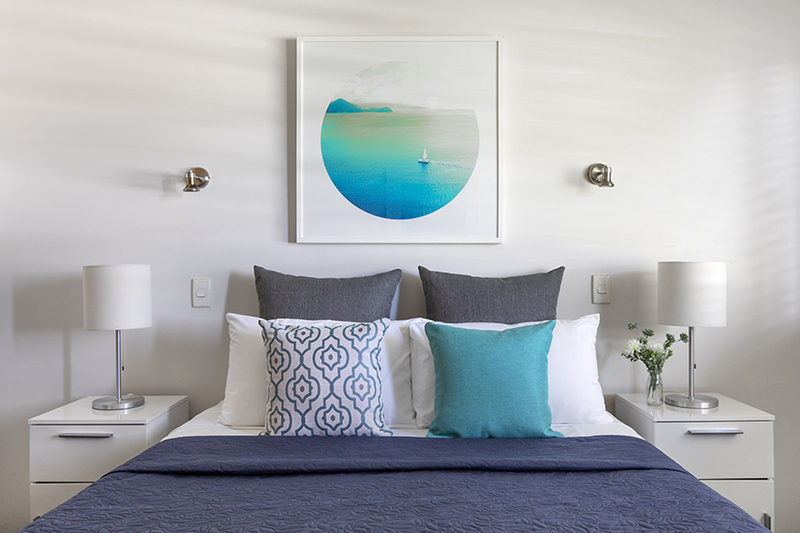 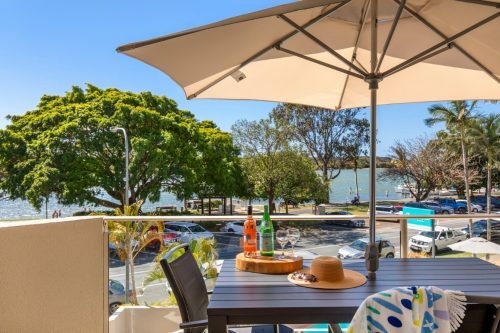 Apartment overlooking the gentle ebb and flow of the Noosa river. 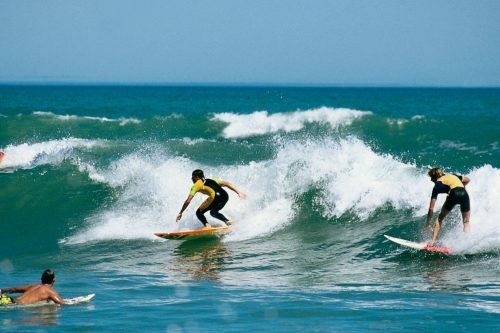 Fully self contained. 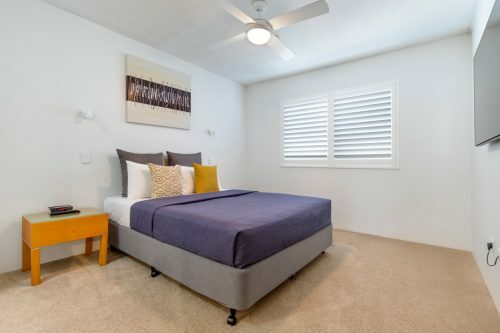 Queen Bedroom with one bathroom, Security parking. 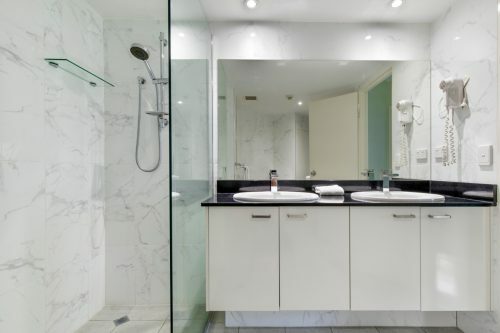 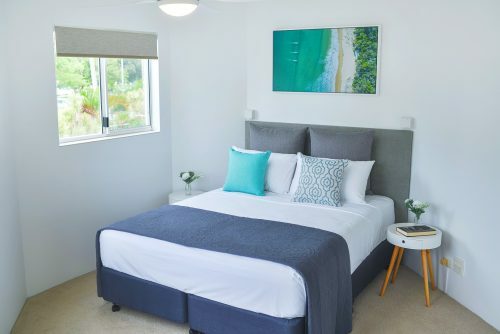 Each 2 bedroom apartment has a master bedroom with ensuite, a second bedroom with twin single beds and bathroom with bath/shower, washing machine and dryer. Two of the ground floor apartments are wheelchair friendly. 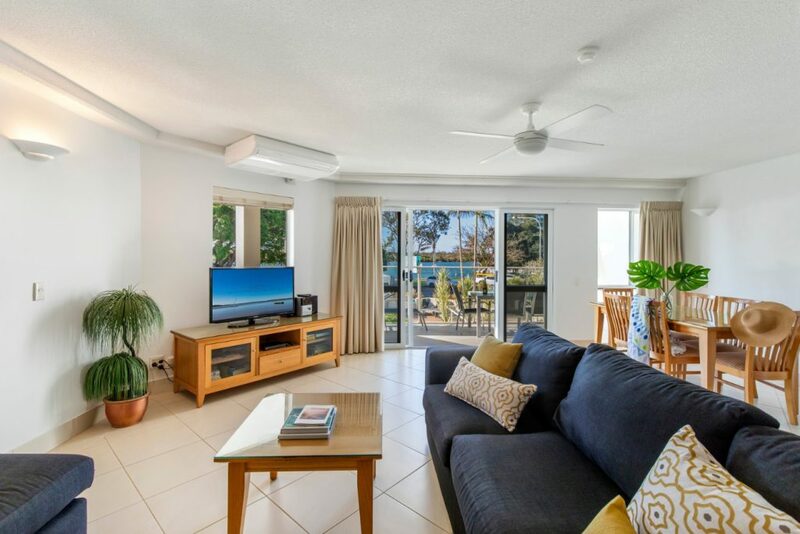 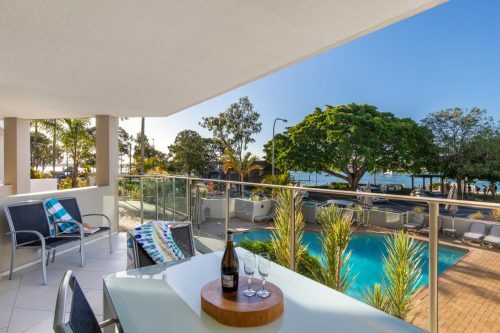 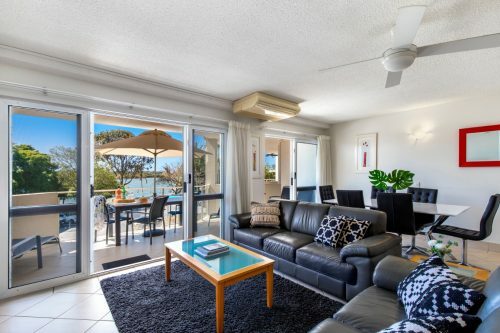 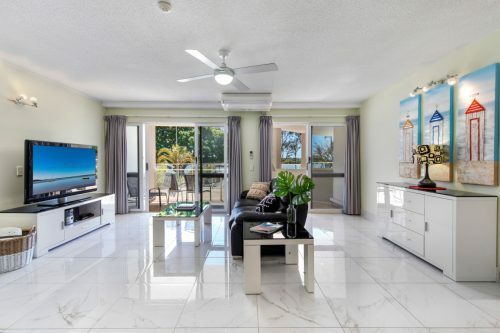 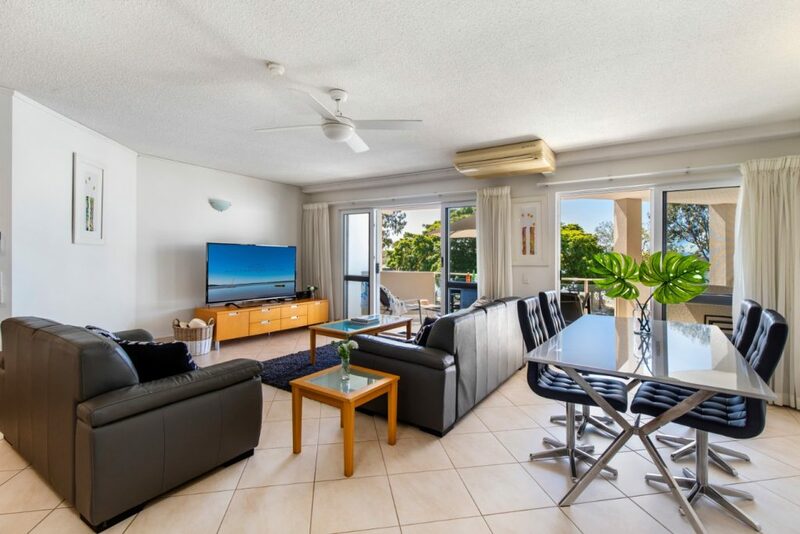 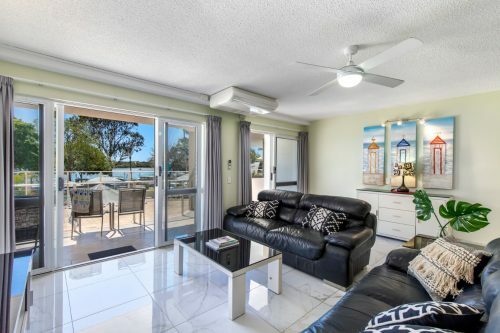 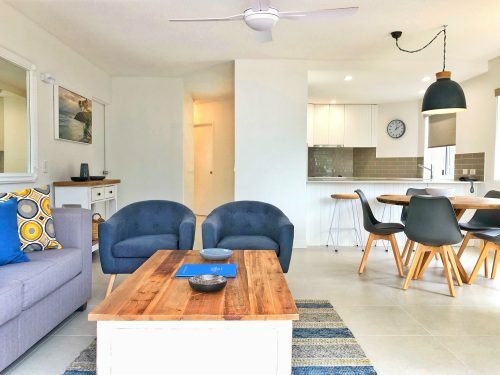 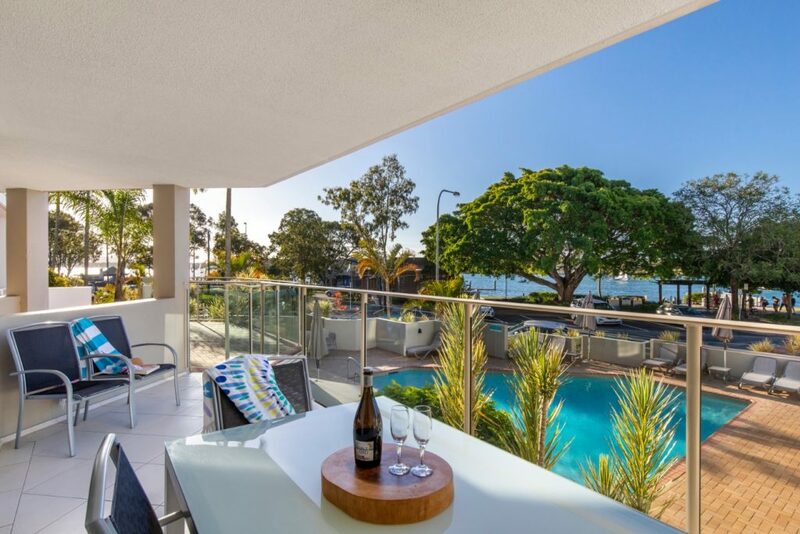 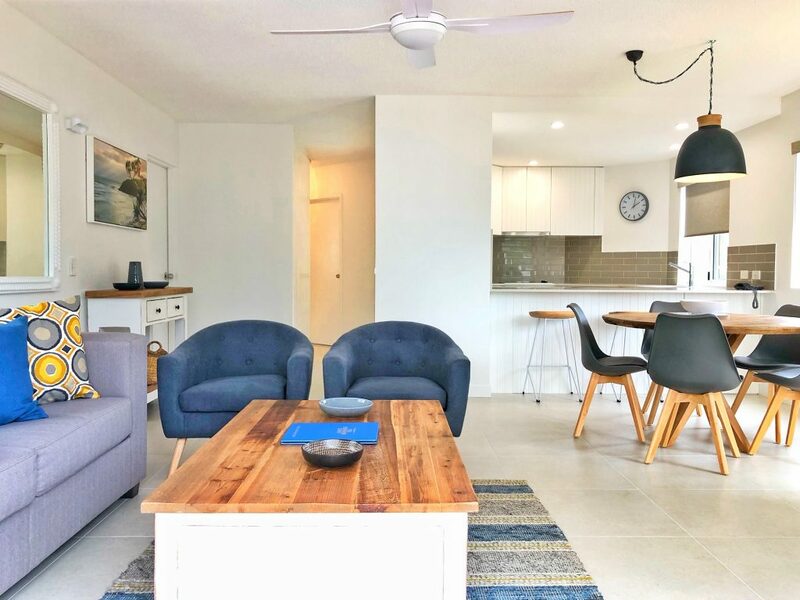 Two of the ground floor apartments are front facing looking out towards the Noosa River whilst the third is situated towards the rear of the property, all offer spacious garden patios. 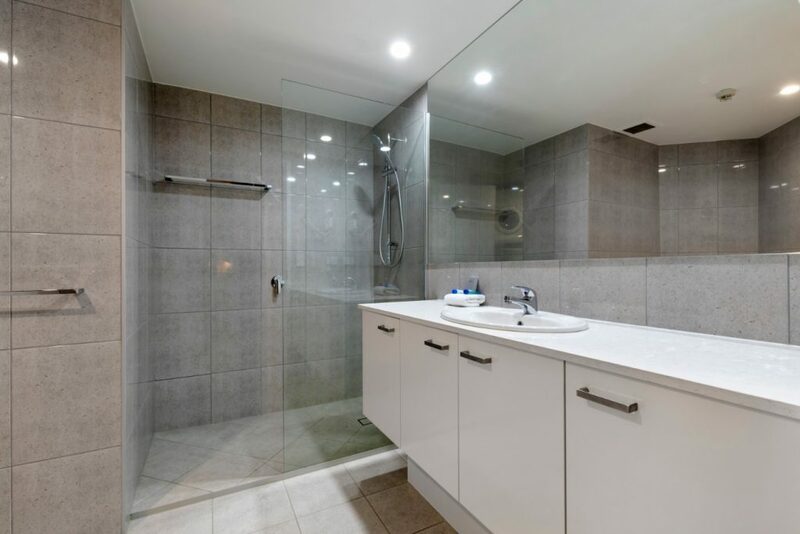 The two wheelchair accessible apartments have no stairs or steps and provide wheelchair accessible bathrooms with open showers. 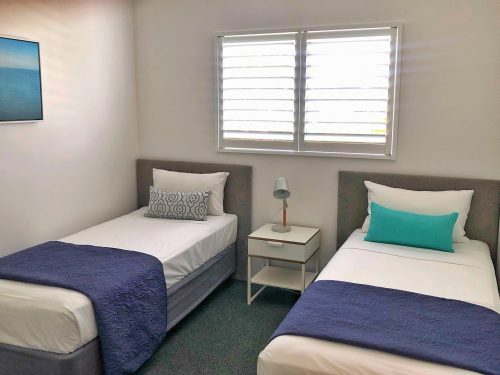 They have 2 bedrooms so provide an extra bedroom for a carer if necessary. 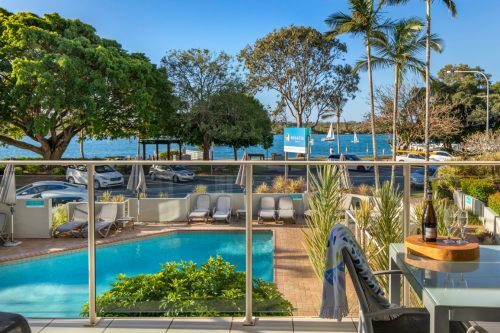 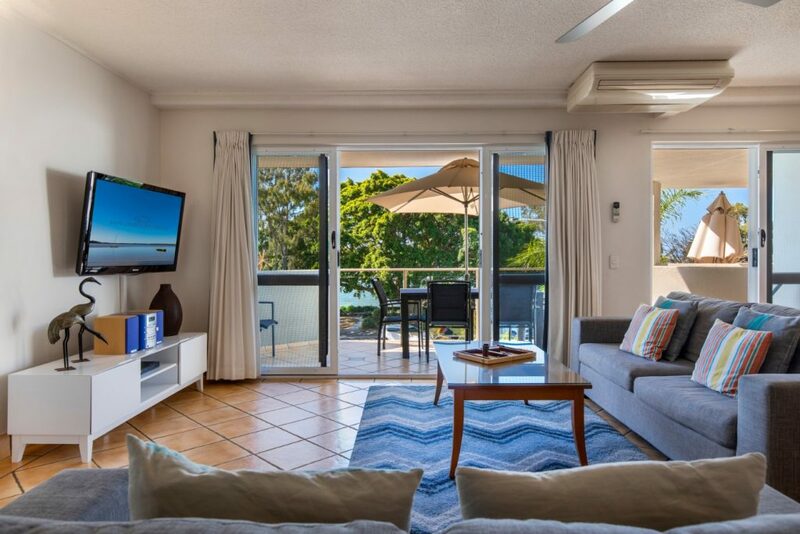 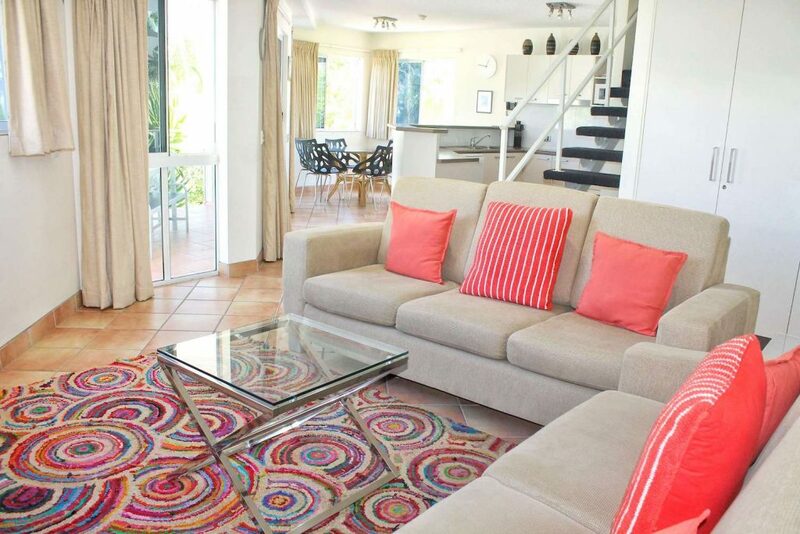 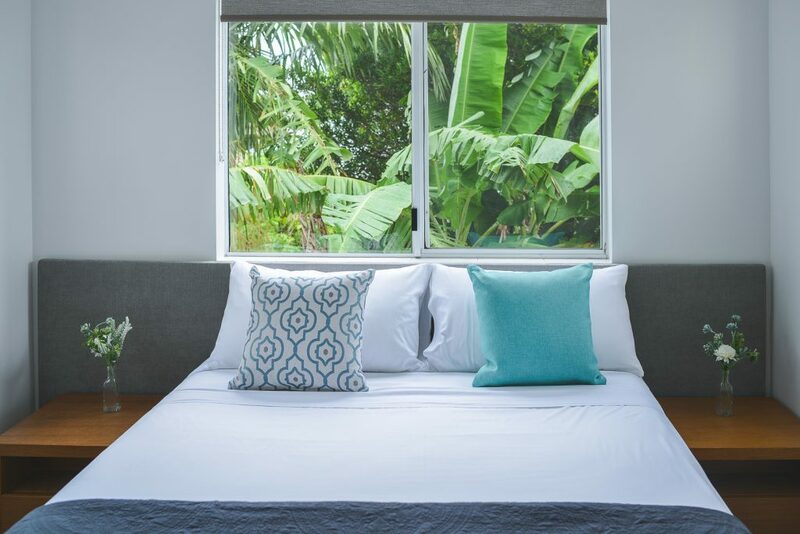 Each two bedroom Riverview apartment has a queen master bedroom with ensuite, a second bedroom with twin single beds and separate bathroom with bath/shower, washing machine and dryer.The front facing open plan living area extends onto a balcony offering magnificent views of the Noosa River. 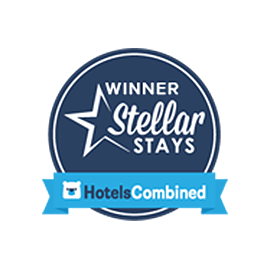 Our 3 bedroom apartments also have a master bedroom with ensuite, a second bedroom with twin single beds, a third bedroom with twin single beds and bathroom with bath, shower, washing machine and dryer. 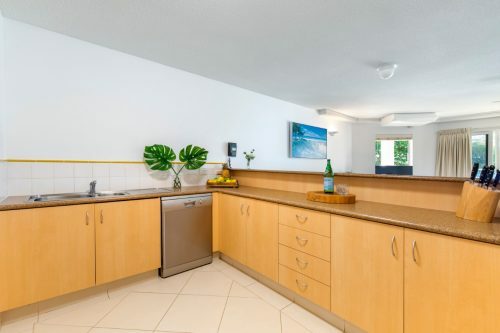 The mid-level three bedroom family unit has two twin single rooms, separate bathroom with bath/shower, washing machine and dryer which extends to an open plan living, kitchen area and balcony.An internal staircase takes you to a separate queen master bedroom with ensuite and private balcony. 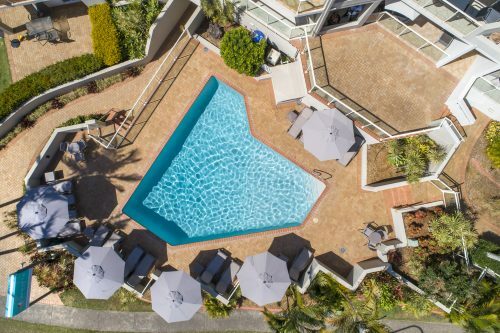 The 3rd floor 3 bedroom Riverview Apartment offers a queen master bedroom with ensuite, a second bedroom with twin single beds, a third bedroom with twin single beds and bathroom with bath, shower, washing machine and dryer. 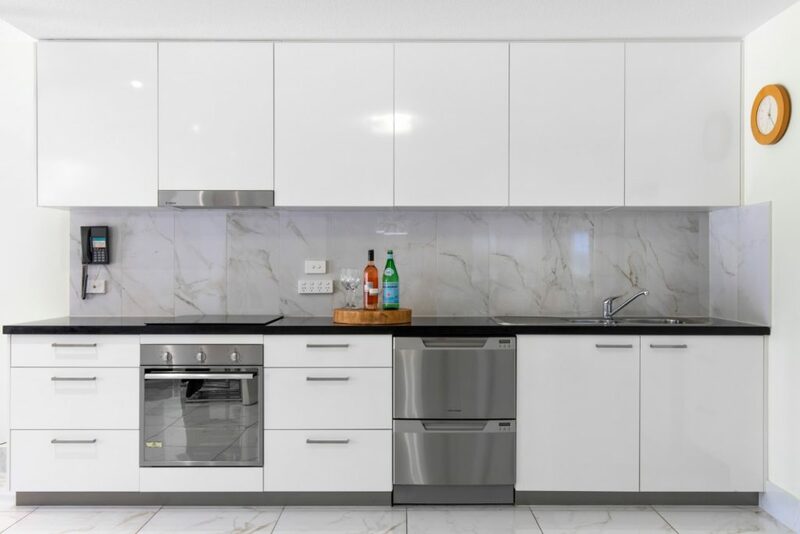 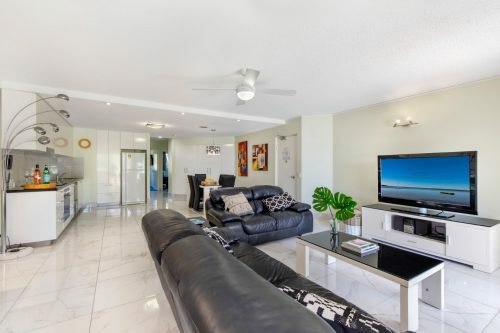 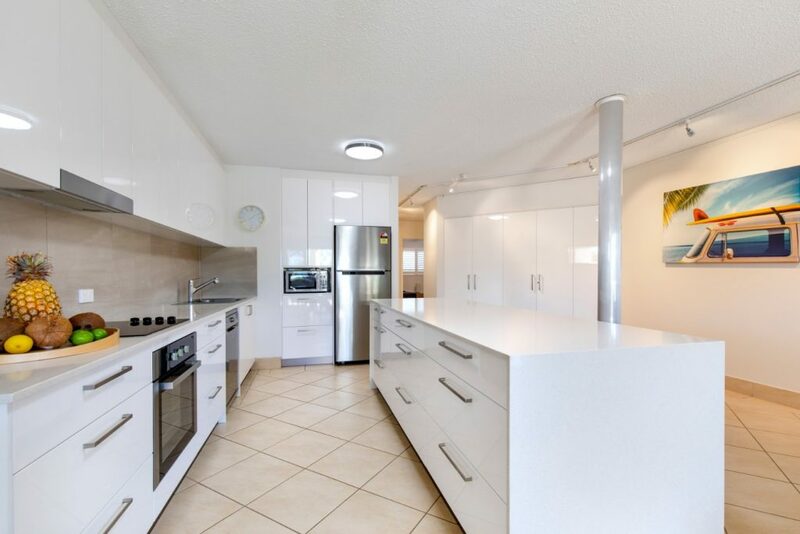 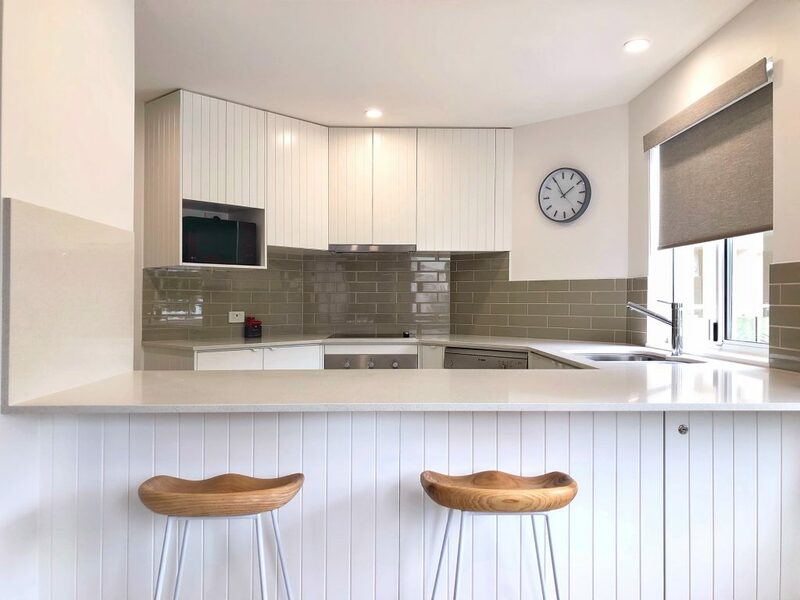 The very spacious open plan kitchen and living area offers stunning panoramic views of the Noosa River. 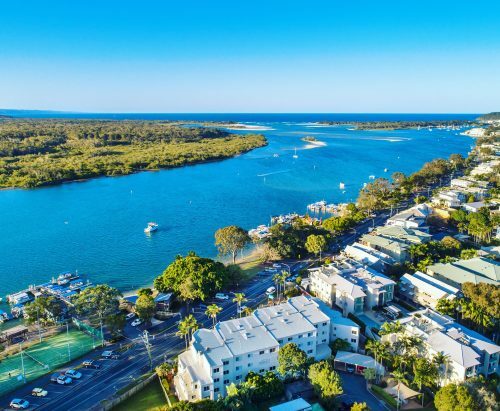 Regatta Noosa is located right on Noosaville’s vibrant eat street – Gympie Terrace, where you’ll find a fantastic array of restaurants, bars and boutique shops. Regatta’s Riverfront Apartments are located in the heart of Noosaville, making it a special and convenient location for your next holiday.